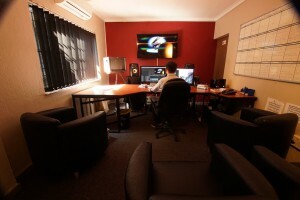 12 edit suites, all running on Mac based Final Cut Pro and Adobe systems. • We are high definition compliant. • We are an approved re-encoder for MNET and Multichoice. 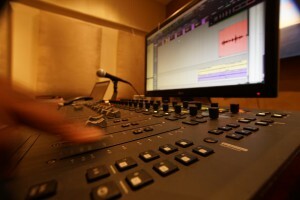 • We have 2 audio studios with interconnected voice over booths running the latest Pro Tools. We have at our disposal various extensive sound libraries of music and sound effects. 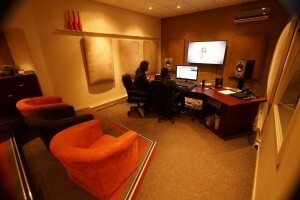 • 81 square metre sound studio. • High definition compliant with three studio cameras. • Green Screen Infinity Curve. • A control booth that allows us to direct and record a wide variety of shows. • There is a make-up room and changing facility attached to the studio.